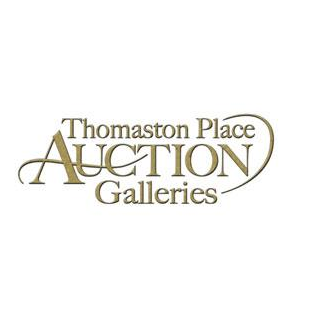 Since 1996, Thomaston Place Auction Galleries has provided premier auction services to bidders locally and globally. The auction house has conducted about 125 live auctions during that time and now offers online bidding through Invaluable.com. Thomaston is located near Thomaston, Maine but its reputation has spread to international buyers and sellers as well. Because of their commitment to excellence and their knowledge of the items they auction, the company has experienced widely recognized success. In 2014, Thomaston hosted 13 auctions online, selling a large variety of antiques and collectibles. Lots included fine and folk art, antique toys, boats and cars, firearms, pottery and porcelain, and much more. Auctions are typically divided by seasons and include pieces and may be categorically organized as well. Categorical auctions include specialized focuses, such as coins, estate auctions, and museum consignments, among others. The success and reputation of Thomaston Place Auction Galleries is solely due to the dedication and experience of the staff. Owner and founder Kaja Veilleux has more than 35 years of industry knowledge and expertise and is a licensed auctioneer and appraiser. Vice President John D. Bottero is another notable staff member with extensive experience in auctioneering. His 18 years of experience have certainly helped shape and drive the standard of business at Thomaston. Bidders can be certain the items they bid on at Thomaston Place are of the highest quality. Whether bidding on an oriental rug, an ancient sculpture, marine collectables, or even real estate, Thomaston ensures value, professionalism, and quality in all their business transactions. Thomaston Place Auction Galleries provides frequent updates on their Pinterest page, including previews of upcoming auction items.